I have searched on the internet but can't find the solution. They say the Microsoft.Phone.dll should be located in C:\Windows\System32 but it isn't there! I have also tried to make new blank Windows Phone Project 8.1 and tried to build that immediately and I get the same error. 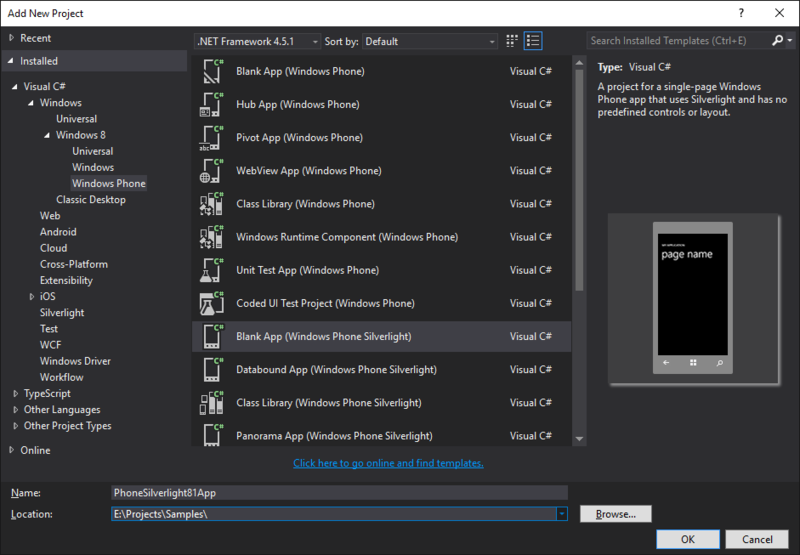 You can't add Silverlight assembly to Windows Phone 8.1 App Project. You should to distinguish between 8.1 Silverlight and 8.1 WinRT Windows Phone projects. But I recommend to create an usual Windows Phone 8.1 Application and use new SDK. Not the answer you're looking for? 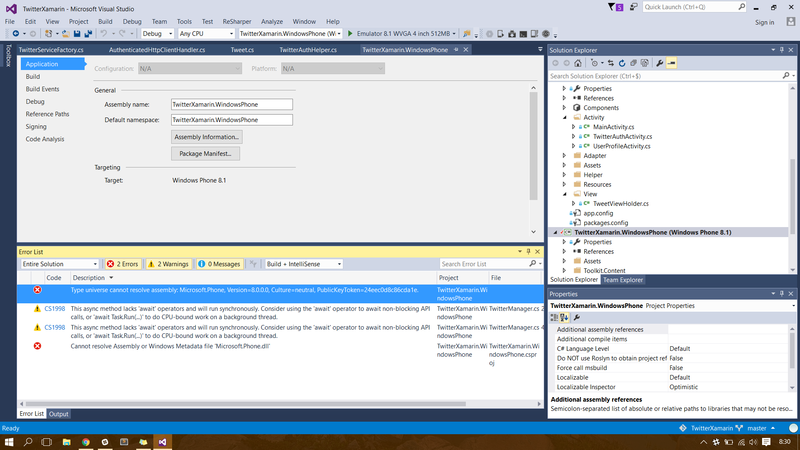 Browse other questions tagged c# windows-phone-8.1 metadata .net-assembly or ask your own question.